What sort of club would we be if we didn't host a cracking Burns Night? A poor excuse for one in Scotland anyway. This is 'the' night of the year so make sure you don't miss out! The night consists of a hearty, traditional meal of Haggis, Neeps (Turnips for you non-Scots), and Tatties (Potatoes). If you have never tried Haggis before, it's great. Trust me, you will be craving it after you try it. After the meal there are speeches from club member's about the year's hijinks so far as well as a raffle- there's usually a fantastic mix of diving gear and vouchers/experiences on offer! Of course, no Burns night is complete without a Ceilidh. We hire in a live folk band and dance until our feet fall off. Whether you have never tried Scottish dancing before or you are born and bred Highlander, it is a fantastic experience. Don't worry, it is quite easy to learn what to do and it isn't meant to be taken too seriously anyway! Come along and have a bash. After the music finally fades and the band packs up we continue our night with an after-party at somebody's flat until the wee hours of the morning and then, the next day, cure our hangovers with a nice tasty breakfast. 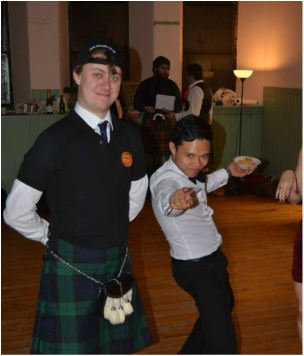 ​The 2018/19 academic year had the added bonus of coinciding with the 50th anniversary of the club, so Burns Night 2019 was bigger and better than ever! Hosted at the Balmoral Hotel (swanky!) 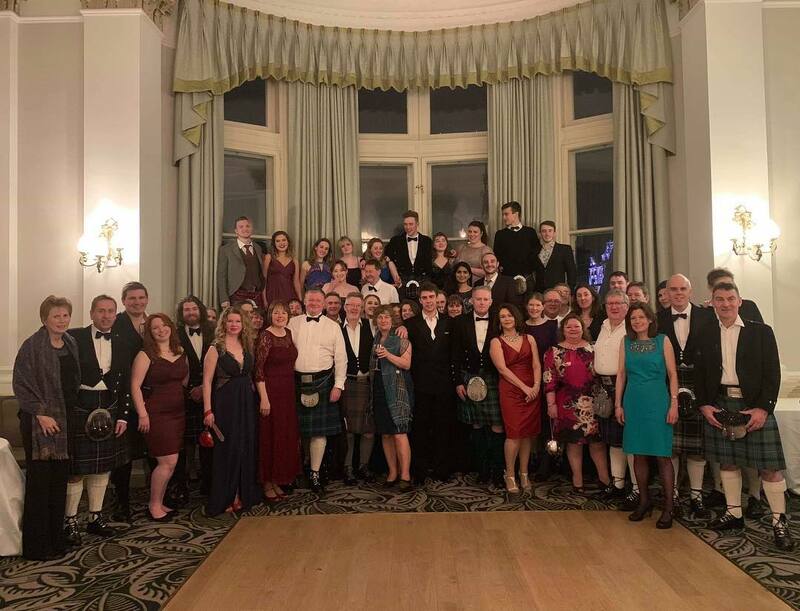 nearly 100 EUSAC members past and present came together to enjoy the classic night of haggis, ceilidh, and sharing diving stories old and new. Hope to see plenty of folks in 2020! ​Here's to 50 more years!